A nurturing childhood leads to a strong, productive adult who will contribute great things to our society. But let’s face it, raising children is challenging and difficult even in the best situations. Home visiting programs recognize parents are children’s first teachers, but sometimes even parents need help. 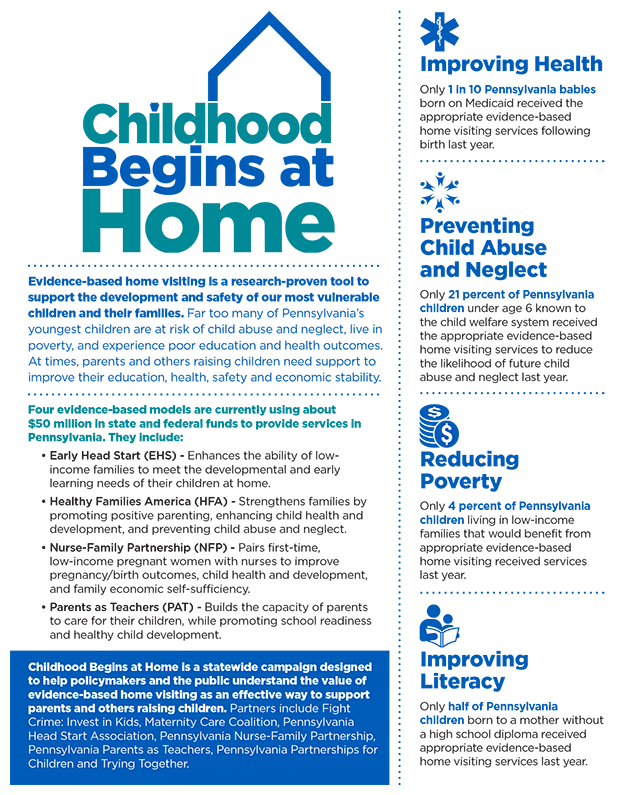 Childhood Begins at Home is a statewide campaign designed to help policymakers and the public understand the value of evidence-based home visiting and effective ways to support parents. 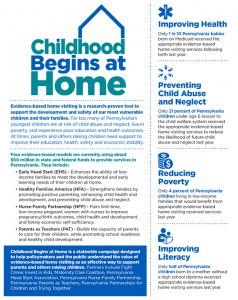 * Pennsylvania Partnerships for Children updated the data contained in this report on April 18, 2018 due to a change in the Department of Human Services (DHS) published data. If you have a copy of the previously printed report, please note that the data cited in source notes 2 and 3 was retrieved on March 14, 2018. DHS updated the data as they discovered a data error.